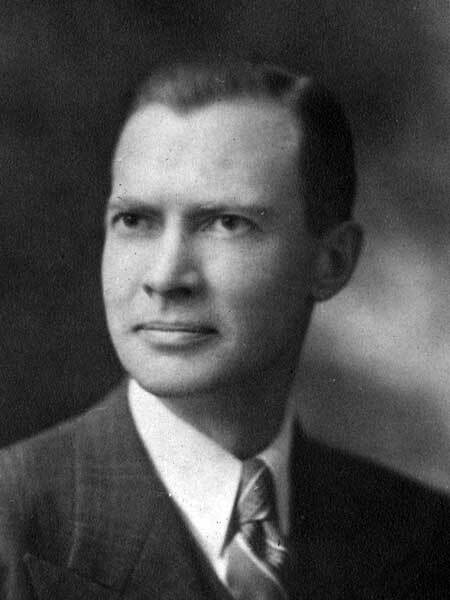 Lawyer, MLA (1941-1945), MLA (1946-1949), Senator. Born at Riverton on 18 March 1901, son of Sveinn Thorvaldson and Margret Solmundson (1877-1919), he was educated at Riverton School, University of Saskatchewan (BA 1922), and the University of Manitoba (LLB 1925). For many years he headed his own law firm of Thorvaldson and Company. It later merged with Aikins, MacAulay and Company to form Aikins, MacAulay and Thorvaldson, of which he was senior partner at the time of his death. He served as a Bencher for the Law Society of Manitoba (1947 to 1959), President of the Winnipeg Chamber of Commerce (1952-1953), President of the Canadian Chamber of Commerce (1954-1955), President of the Law Society of Manitoba (1956-1957), and President of the Conservative Party of Canada. On 9 October 1926, he married Edna Eva Schwitzer (1901-1999), daughter of J. Edward Schwitzer of Winnipeg. They had three daughters: Eleanor Thorvaldson, Nora Jean Thorvaldson (?-1997, wife of Roger J. Hansell), and Ruth Thorvaldson. He was a Director of the International Loan Company and Viking Press Limited. He was a member of the Canadian Club of Winnipeg, Empire Club, Winnipeg Conservative Club, Winnipeg Winter Club, and United Church of Canada. Defeated in the 1932 and 1936 provincial elections and 1935 federal election, he was elected to the Manitoba Legislature at the 1941 general election and re-elected in 1945. He served until 1949 when he was defeated in the federal election. He was appointed to the Canadian Senate in 1958. He died on 2 August 1969 and was buried at Chapel Lawn Memorial Gardens. Obituary, Winnipeg Free Press, 5 August 1969. Obituary [Nora Jean Hansell], Winnipeg Free Press, 29 June 1997, page 22. Obituary [Edna Eva Thorvaldson], Winnipeg Free Press, 10 April 1999, page 53.